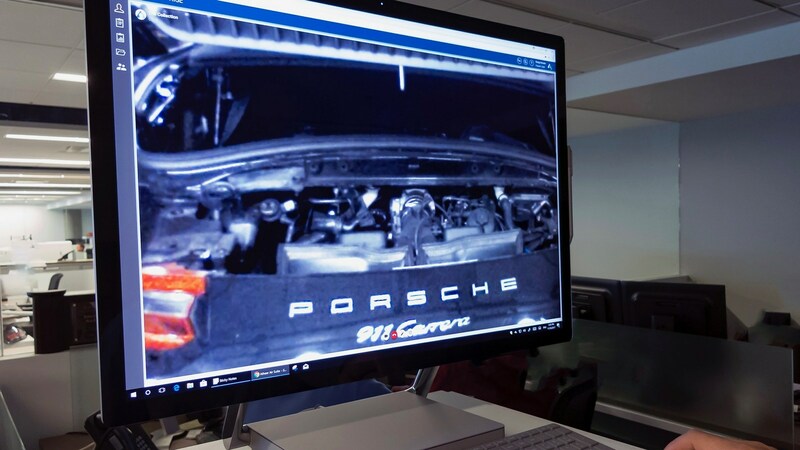 Augmented reality is become increasing popular in vehicle design and Porsche is bringing the technology even further by announcing plans to begin using it in vehicle service departments. 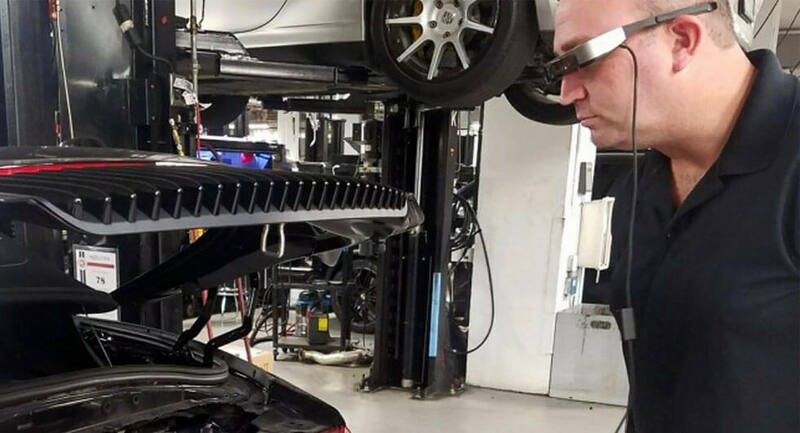 Following a successful pilot program at eight dealerships, Porsche will begin using lightweight smart glasses at dealerships in Canada and the United States. The glasses work in conjunction with "Tech Live Look" software and they feature a high-resolution, auto focusing camera which can see fine details like the threading on screws. The glasses have also been equipped with powerful LED lights which can be used to illuminate dark areas such as the engine compartment. The glasses are more than just a high-tech toy as the company explains a service technician in Los Angeles can be looking at a component while the company's technical support team in Atlanta can be seeing the same thing even though they are 2,200 miles (3,540 km) away. Porsche says this will allow them quickly identify and resolve technical issues and this has the potential to reduce service times by up to 40 percent. The smart glasses offer more than just a video conferencing capability as Porsche also notes they can be used to take screenshots and display service information - such as technical bulletins or instructions - on the projection surface of the glasses. 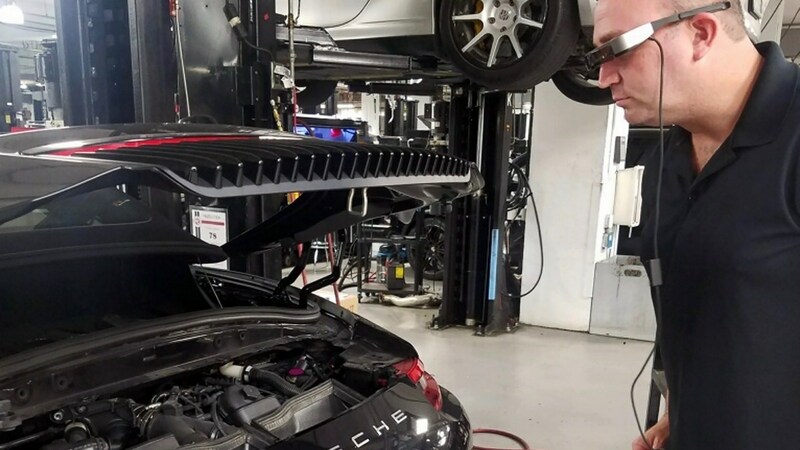 The glasses will be used at dealerships beginning next year and Porsche Cars North America CEO Klaus Zellmer said "Tech Live Look allows us to be more efficient and helps get vehicles back in the hands of our customers faster, all while still delivering exceptional service quality."